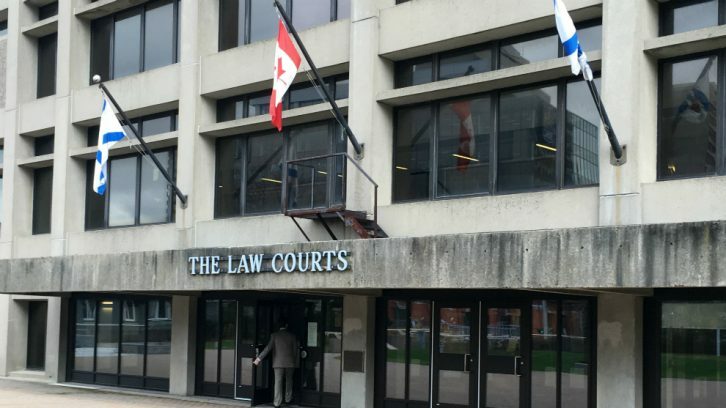 The Crown has made a second attempt to have a Dartmouth man with a history of violent offences imprisoned indefinitely. The case of Shawn Michael Shea was heard in the Nova Scotia Court of Appeal on Thursday. Shea, 37, was convicted of aggravated assault in August 2011 for the stabbing of Keithen Downey at the Central Nova Scotia Correctional Facility a year earlier. Following his conviction, the Crown requested Shea be declared a dangerous offender based on his lengthy history of violence both in and out of jail. Their application was denied in September 2014 by Judge Anne Derrick, who sentenced Shea to five years in prison instead. “The Crown has not established on a proof-beyond-a-reasonable-doubt standard that Mr. Shea has shown the patterns of behaviour that qualify for a dangerous offender designation,” Derrick said in her decision. On Thursday, Crown attorney Adam Scott urged the Court of Appeal to overturn that ruling. He argued that Derrick made a mistake in determining the Crown had failed to prove a pattern of persistent aggressive behaviour. “We suggest that [Derrick] looked for too much similarity through too narrow a lens,” he said. The dangerous offender provisions of Canada’s Criminal Code are intended to shield Canadians from the country’s most violent and sexual criminals. Individuals convicted of these offences can be given an indeterminate sentence, with no chance of parole for seven years — if the court determines that the offender poses a risk to the the public. The designation lasts a lifetime. Shea, an associate of Halifax’s Marriott crime family, has a lengthy criminal record that includes 58 offences. His conviction for the 2010 stabbing of Downey was his fifth federal prison sentence. Scott told the court’s three-member panel that 26 of these offences were incidents involving assault, that were mostly unprovoked and formed a pattern of persistent aggression toward others. Shea’s lawyer, Roger Burrill, told the court that the incidents did not prove an implicit error of law on the part of Derrick. The court has reserved its decision after hearing both arguments. It did not indicate when a decision would be made. Nov. 23, 2001 – Shea is sentenced to two years in federal prison for possession of crack cocaine for the purpose of trafficking. Jul. 14, 2005 – Shea is sentenced 2 ½ years in federal prison for conspiring to bring drugs into the Springhill Institution. Feb. 2, 2010 – Shea is sentenced to 6 ½ years in federal prison on charges of forcible confinement and extortion. It is during this period of incarceration that Shea stabbed Keithen Downey at the Central Nova Scotia Correctional Facility. Apr. 30, 2010 – Shea is sentenced to an additional six months in federal prison for his participation in a riot at the Central Nova Scotia Correctional Facility. Aug. 30, 2011 – Shea is convicted of aggravated assault for the stabbing of Keithen Downey. In 2014, he is sentenced to five years in federal prison for this crime.